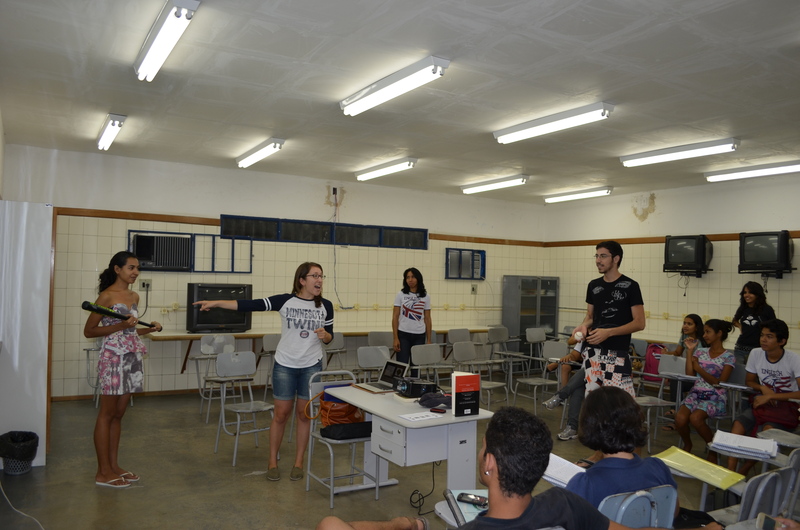 In the middle of April, I kicked off the weekly meeting of the American Club at UPE – Campus Petrolina. (Check out the calendar of future events here.) Our first meeting’s theme was one of the things I am most excited to teach here: baseball! I am a big baseball fan, and the start of the national leagues’ season in April seemed like an appropriate time to begin teaching the sport to my students. It was just a start, but a great start—we have some important new vocabulary, a basic understanding of the rules (three strikes and you’re out; run around all the bases back to home plate and you get a point), and perhaps most crucially, we produced a lovely rendition of “Take Me Out to the Ball Game.” Below, I’ve posted my presentation, for curious readers but particularly for students to practice the vocabulary! 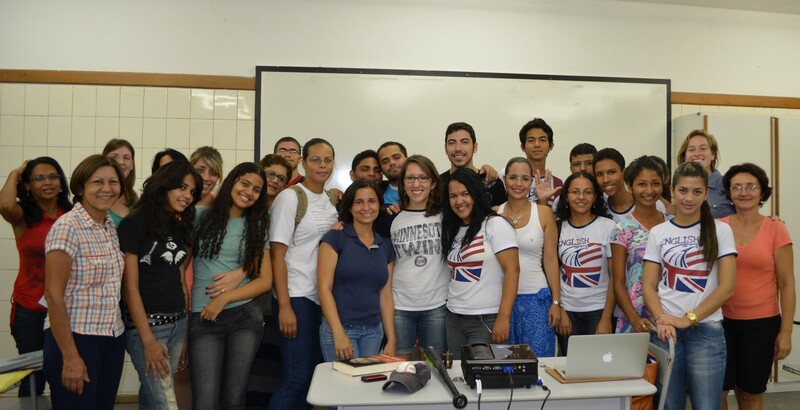 After I finished teaching yesterday, I ran into a few students who hadn’t been able to come to the class. They saw the baseball bat sticking out of my bag (yes, I brought one) and asked if they could play. Uh, of course! This part was totally unplanned: stumbling through an impromptu game of baseball in the courtyard at 9pm with a bunch of Brazilians. Three trees were our bases, and no one had gloves, but that’s the best thing about sports like this—for basic functionality, you need minimal equipment. Mostly the men played (and one woman, plus me), but other students gathered around to watch, and it reminded me how much physical games can bring people together. And even better, it was none other than America’s favorite pastime bringing us together. This is exactly why I am here. Since language and culture are so tied, even if I’m not great at teaching English grammatical structures, at least I can provide the cultural component—with barely any effort; simply my presence and a bat and ball.